Vandals chop up 23 more trees again! On Sat. 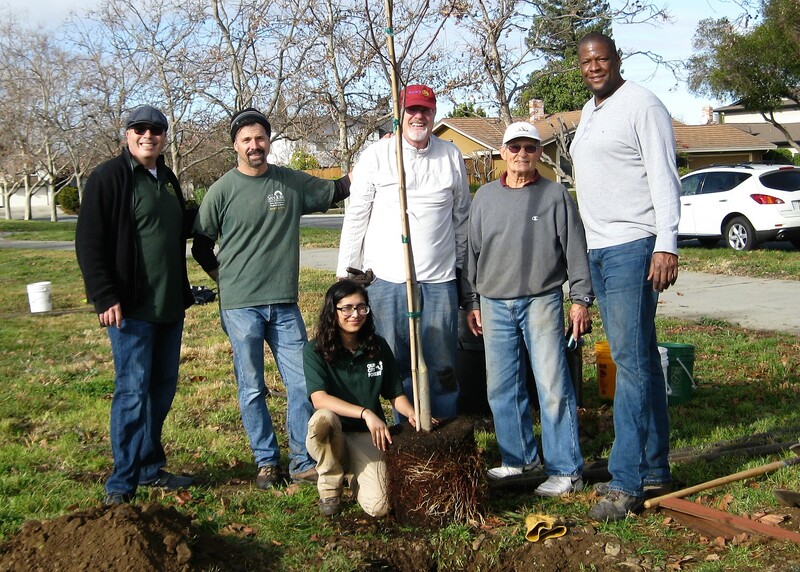 June 18th., a crew from Our City Forest, along with volunteers, planted a total of 17 trees at TJ Martin and Jeffrey Fontana Parks. 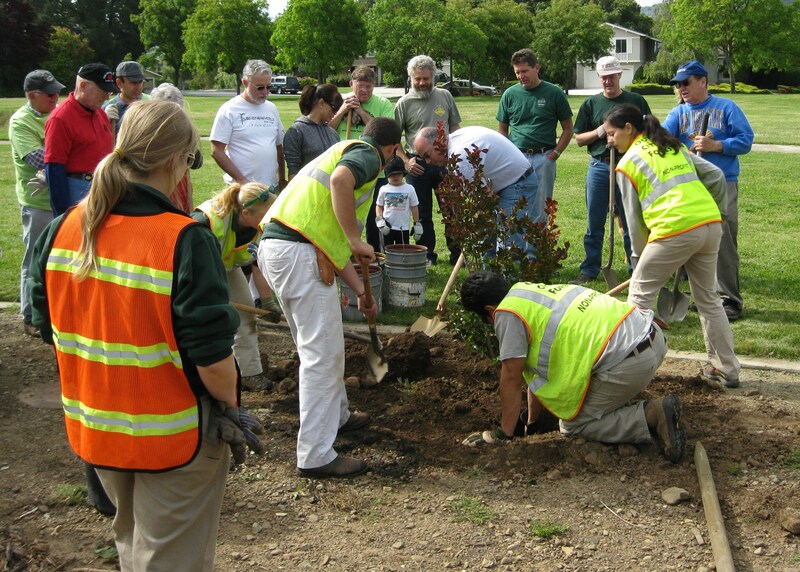 OCF worked with the City’s Parks, Recreation, and Neighborhood Services Department to determine the planting locations. 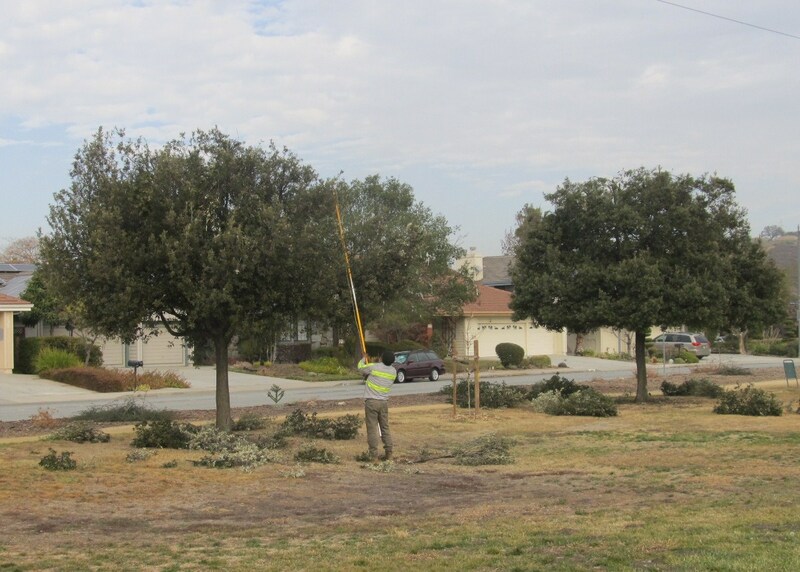 All trees planted were on PG&E’s approved tree list for trees under power lines. 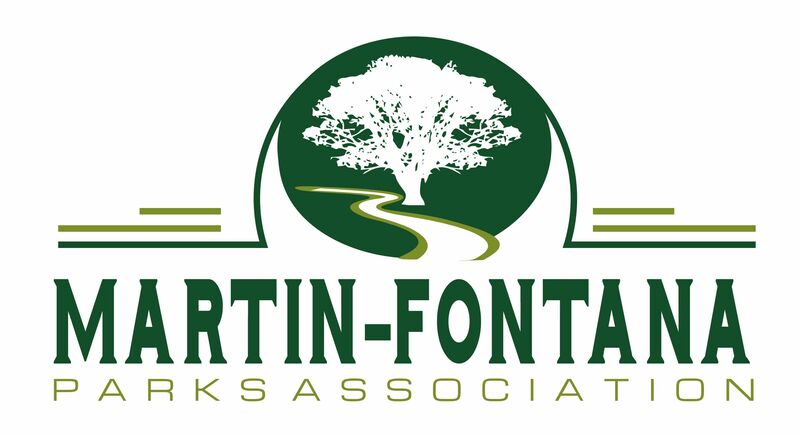 Twelve trees were planted in east TJ Martin Park near Meridian Ave.
one was planted near the Fontana statue. Funds were provided by a grant OCF had for tree planting and watering. 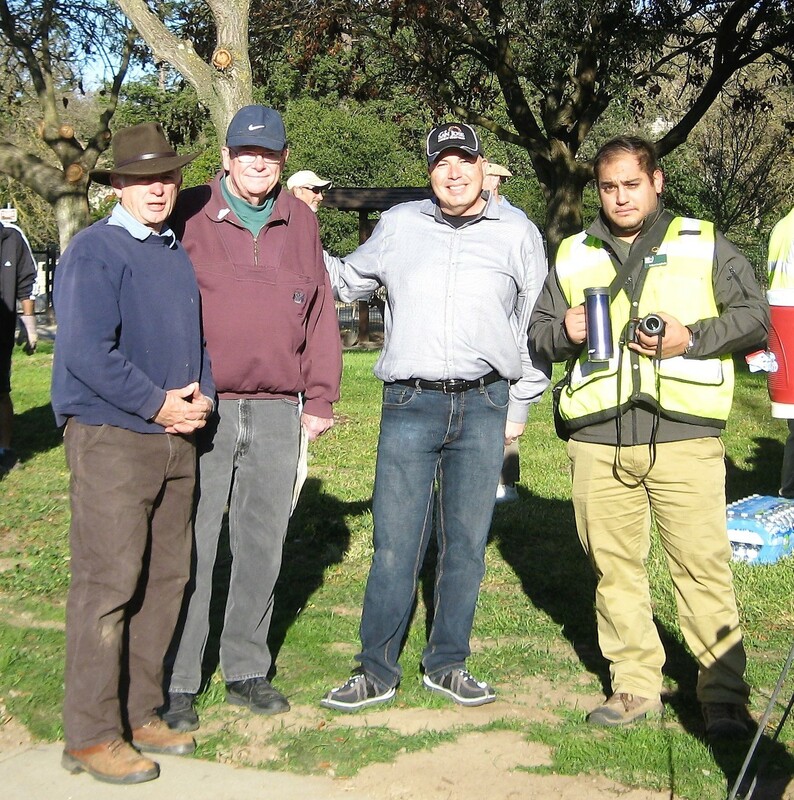 Thanks so much for all the hard work provided by the volunteers. 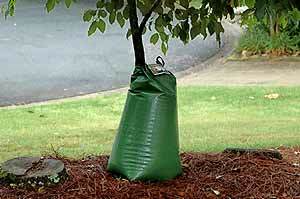 This will help to replace some of the many dead trees felled by the drought. 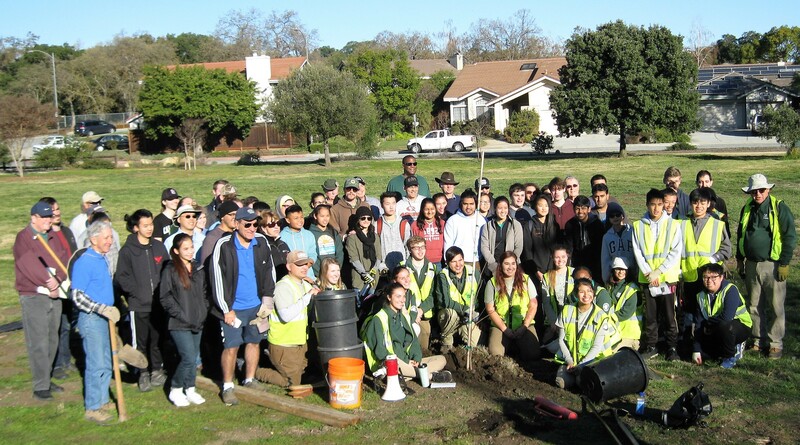 Turf Reduction work party a huge success!